The weather is turning colder, the leaves are falling off the trees, and the holidays are RIGHT around the corner. I don’t know how it goes in your family — but around here it seems like the last two months of the year just FLY by! I WANT to spend more time with my children. Hang out as a family. Make some memories. But every year I blink and suddenly it’s the New Year already! Where does the time go?? With all of the hustle and bustle of preparing for holiday parties, shopping, and all of our other favorite holiday activities, it can be difficult to remember to make time for the things that truly matter most, like spending quality time together as a family. 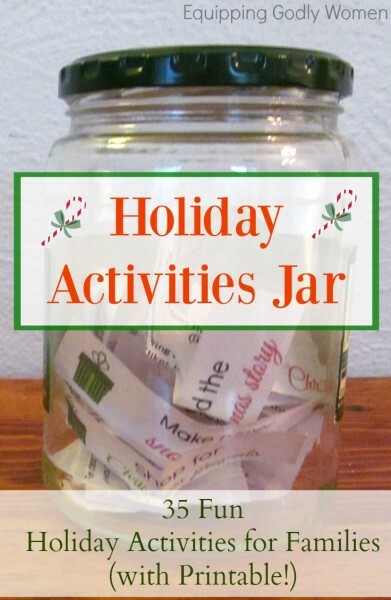 Well, this year I came up with a solution: The Holiday Activities Jar. 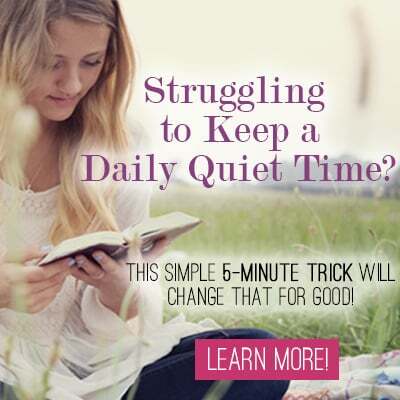 It’s seriously easy, pretty much free, and of course, a lot of fun! Any old jar will do. I used an old pickle jar we happened to have on hand. If you want to go to all the time and effort of creating all your own slips, by all means. OR you can just use these super cute ones I already created for you! 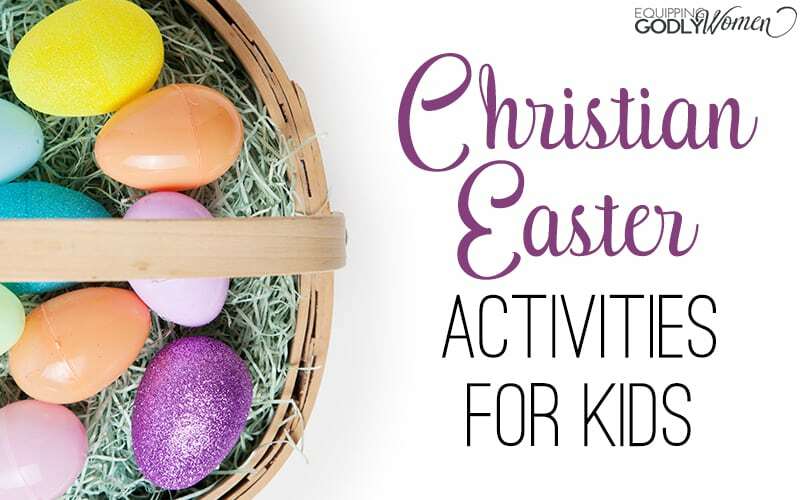 They’re super cute and FULL of fun activities your family is sure to love! 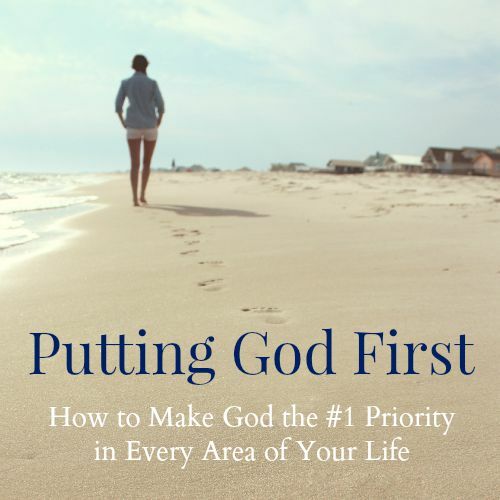 The first two pages have 35 great suggestions (they’re all easy, require little set-up and are either super cheap or free!). 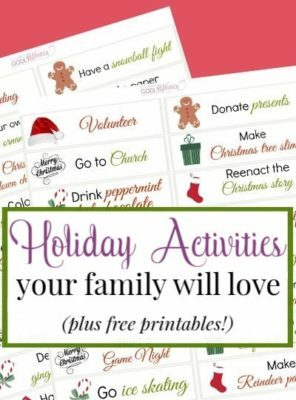 PLUS I even included a blank page as well, so if there are any unique Christmas traditions your family loves to do every year, you can include those as well! Want the full list — Already made up for you? Simply enter your name and email in the box and I’ll send three SUPER cute printables straight to your inbox! 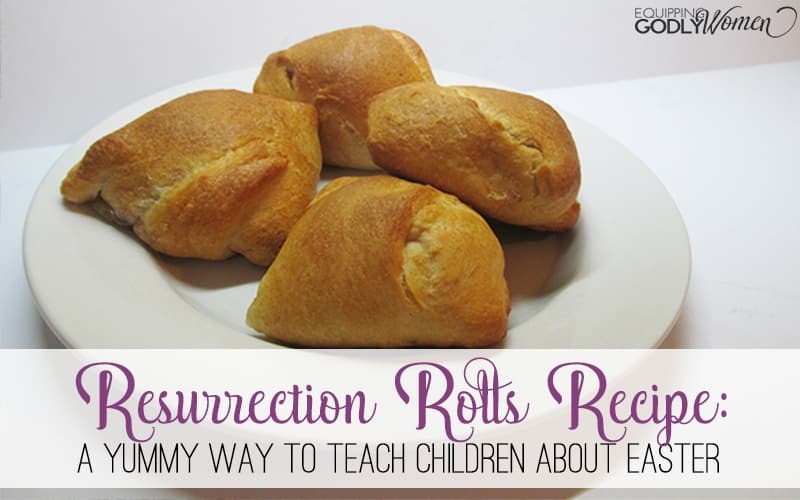 No need to cut them ALL out — just the ones that you know your family is sure to love. 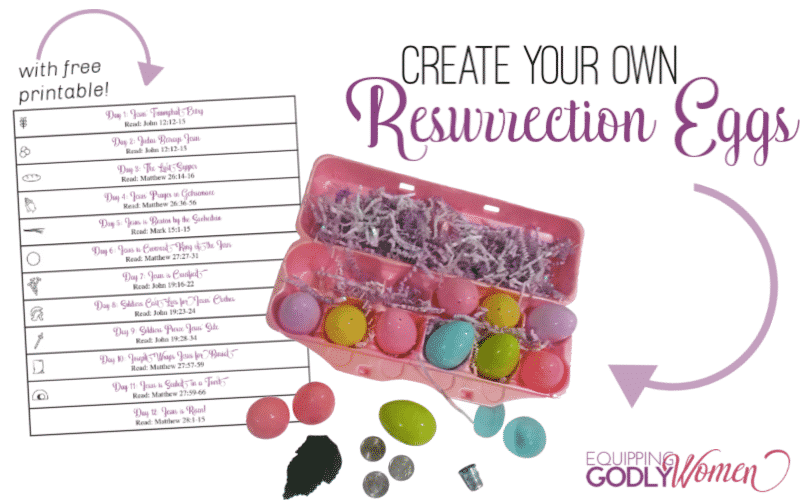 Recycle the ones you don’t want, make a few more you want to make sure to include — it’s totally customizable to you! 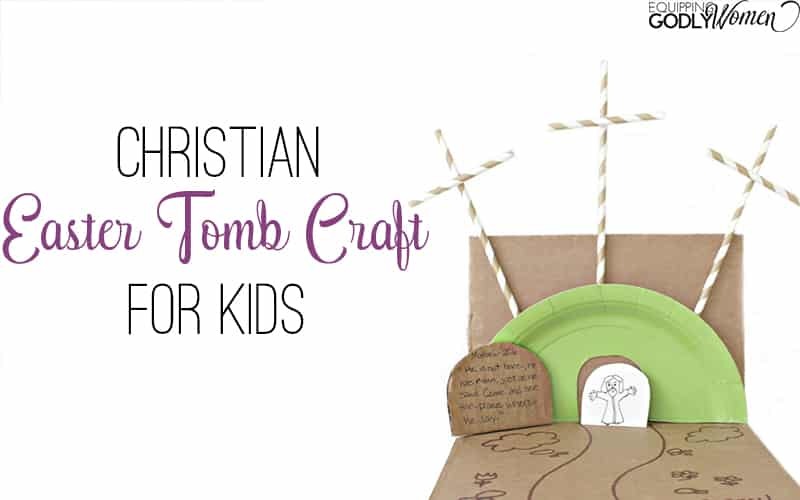 Bonus Tip: While surprising the kids is super fun, it’s also fun to get their input as well. They’ll love helping you come up with great ideas! Time to get creative! You can decorate the jar however you want! Use scrapbook paper, construction paper or fabric to make your own label, cover it with stickers, tie some pretty holiday ribbon around the rim — the sky is the limit! Have a Friday night without plans? A few hours on a Saturday afternoon? Time to kill before bedtime on a Tuesday night? 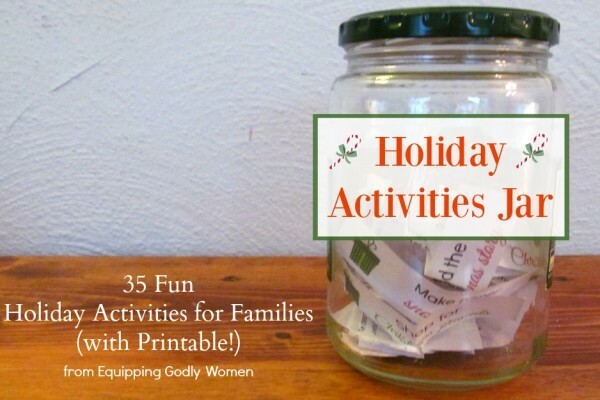 Grab your Holiday Activity Jar and see what you come up with! It’s totally fair to choose again if the idea isn’t realistic right now (like outdoor ice skating on a warm and rainy day), but there’s also something to be said for being spontaneous! Yes, it’s easy, but the best ideas generally are!